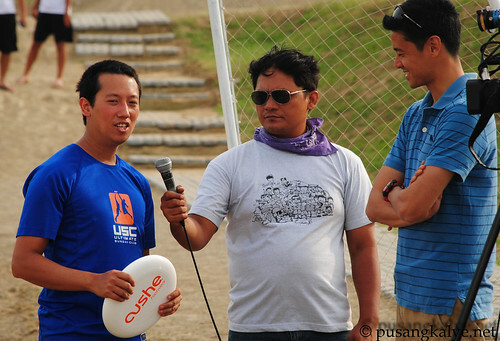 A new kind of sport is on the rise in the Philippines and its called ULTIMATE DISC. Ultimate is a non-contact sport played with a 175 gram flying disc. If you are familiar with Frisbee, you would understand what I mean. 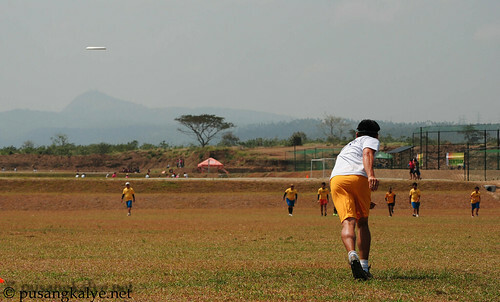 For four consecutive weeks, The Fields in Nuvali Laguna played host to the NEW YEAR'S LEAGUE 2011, the first Ultimate Disc Tournament of the year in partnership with The Philippine Ultimate Association. 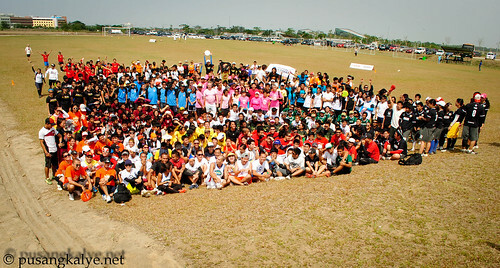 A total of 30 mixed teams joined the eliminations leading to the finals on March 12, 2011. To be honest, I was surprised at how competitive and entertaining this sport could get. It never occurred to me that Ultimate has such a strong following in the country. When I was told that we will be watching a Frisbee Competition, I almost dismissed it as another event involving pet dogs and their owners. I never though the sport has developed into something big like football. While originally called Ultimate Frisbee, it is now officially called Ultimate because Frisbee is the trademark for the line of discs made by the Wham-O toy company. A team in ULTIMATE DISK is composed of seven (7) players, 4 boys, 3 girls. The goal is to complete a pass across the opponent's end zone to score a point. The game is based on trust as no referee is needed. It's a race to 15 points. In case 15 points is not reached within the alloted time, the team with the most number of points win. The regulation field is 70 X 40 yards with end zones of 25 yards deep. 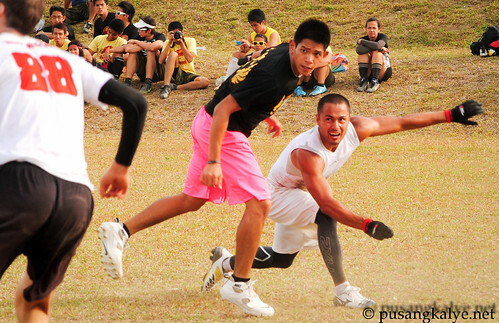 The FIELDS NUVALI provided the ideal venue for this sport which is slowly making its way in the mainstream. The NEW YEAR'S LEAGUE FINALS included top teams. 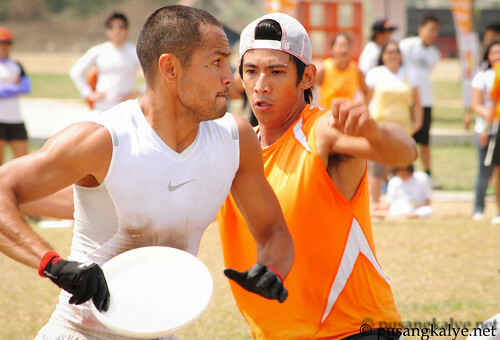 Derek Ramsay and his team Sexual Chocolate battled in the semi-finals against Sunken Pleasure, the number 1 ranked team in the tournament. Sexual Chocolate stepped up the competition and advanced to the finals against Flying Sprokets which toppled Alabang Ultimate in the semis. The Richies, Richard Herrera and Richard Hardin are also members of Sexual Chocolate. Both teams showed superb sportsmanship in the finals but at the end, it was the well coordinated efforts of SEXUAL CHOCOLATE which secured their spot as the CHAMPION of NEW YEARS LEAGUE 2011 with a convincing score of 15-8. It was a star studded tournament. Aside from the Richie's and Derek Ramsay, Angelica Panganiban was also present to show her support for celebrity boyfriend Derek. 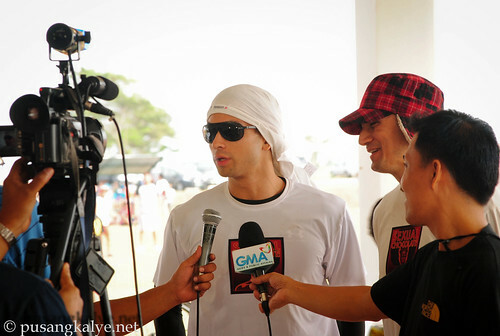 A group from GMA-7's 24 oras was also there to cover the event. Athletes from top schools and clubs from Manila showed popular support for the sport. It was a hot day in the FIELSDS Nuvali Laguna. I din't carry any hat to cover from the sun but I was out in the open enjoying the event with my colleagues Kat from the Daily Tribune as well as Jig and Mikki of Perlas and Luna group. This only shows that the Ultimate Disc Championship aroused my interest. The sport will surely be a big thing in the Philippines. Congratulations Sexual Chocolate for winning the 2011 New Year's League!!!!! naks pare, ganda ng mga kuha... gamit mo na ba dyan yung telephoto 55-200 lens mo? nice shots! @ Moks--yep, 200mm in motion. I lavit!!! ay ay marunong din ako nyan pusa! Meron akong mga kaibigan na naglalaro ng Frisbee dito sa Singapore. Gusto ko sana sumali, pero pero... wala lang. LOL!